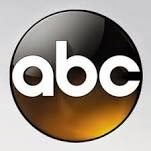 Please Note: Below are links to every series on the Broadcast Networks (ABC, CBS, NBC, FOX, The CW) which are currently in production or airing new episodes. If you are looking for the link to a series that was cancelled or has ended its run (i.e. Crazy Ex-Girlfriend), you should check out the Archives section. Additionally, a series whose fate is up in the air at the moment (i.e. The X-Files) is still listed on this page.